Collaboration is more likely to lead to innovation if it's the right kind of collaboration, and if it's supported in the right way. In our experience, innovation and collaboration are at the forefront of many facility conversations. 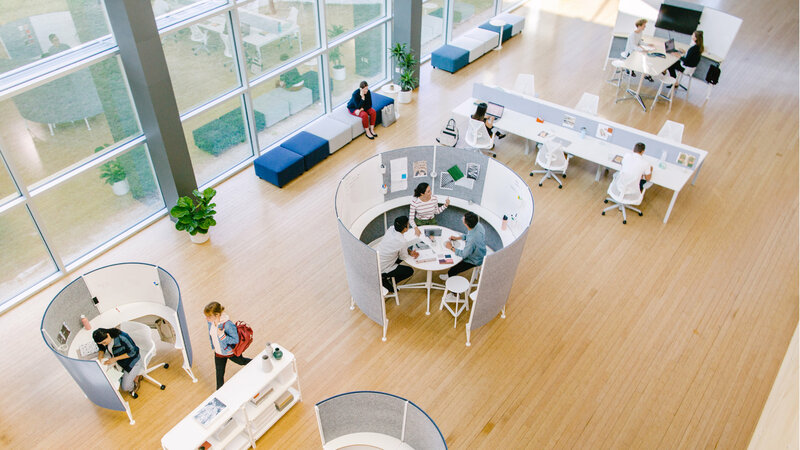 From Herman Miller's research, we know that space has a direct affect on the ability to innovate, and we understand how to create design solutions to facilitate idea generation. Innovation is a bit of a mystery—if it was easy, every company would be innovating and no one would be asking questions about the best ways to do so. One of the things we do know, however, is that some ways of working are better for innovation than others. To learn more about how the nuances of collaboration can drive innovation complete the form below to receive the full white paper.